This posting will provide strategic guidance on FEDBIZOPPS and factors for using it in small business marketing to government agencies and prime contractors. 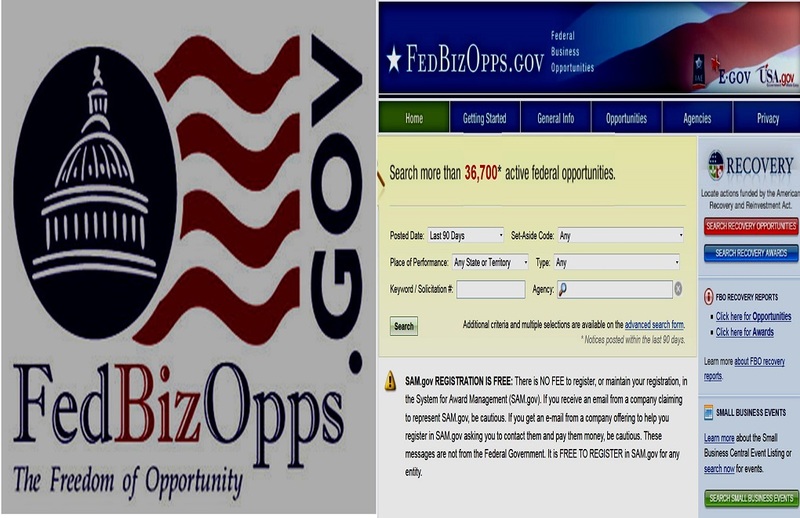 Established as the public announcement vehicle for all federal procurements over $25K, FEDBIZOPPS is a web-based, "Public Announcement Bulletin Board" to satisfy fairness in government contracting laws mandated by US law. It is a terrific market research tool and an absolute necessity once a solicitation has gone formal to stay abreast of modifications, changes in proposal due dates, questions and answers and other necessary information that contracting officers are required to make public. A solicitation posted at FEBIZOPPS generally means that a procurement has received funding and the contracting officer has been authorized to start the source selection process. Often misunderstood, is that much has occurred in the way of marketing activities by companies in advance of notices formally published by the government on FEDBIZOPPS. By the time the formal, solicitation is published it is too late to market for setting a procurement aside for a small business designation if it has not already been established as such. In addition, formal solicitation publication closes the window on self-marketing by HUB Zone and 8(a) firms for set asides to them individually without competition. In short, businesses have been marketing for the requirement long before it became formally announced at FEDBIZOPPS. Start by registering at FEDBIZOPPS. Many of the features available to users are not accessible without a registration. Begin some careful searches by key words into agency solicitations that could use your products and services. The FEDBIZOPPS user guide is available as a free download at the "Boxnet" cube of this web site to the immediate left of where you are now reading. Study it before you complete your registration. Be specific in your key word selections on the feature that allows direct emailing to you of announcements by agencies. The data base is huge and it is best to move from specific key word selections to the more general with experience to avoid being inundated with meaningless solicitations. Some companies establish a separate email address for the FEDBIZOPPS mailings to keep the results out of the mainstream of other business. The mailings are totally automated so there are no marketing factors to consider in setting up such an arrangement. As you examine the solicitations, see who has indicated an interest in bidding them among your competitors and the primes you are pursuing and then target such projects for participation by your firm either as a prime yourself or as a subcontractor. Pay particular attention to "Sources Sought", Draft RFP "Request for Industry Comments" and similar announcements that indicate an early requirement taking shape. For active solicitations that you wish to monitor, check the "Follow" Box on FEDBIZOPPS to receive updates and announcements by email. Once the solicitation reaches the formal RFP stage and a due data for a proposal has been established, if you have decided to bid the job the "Follow" feature is especially critical. If there is a bidders conference and you intend to bid the job, make plans to attend. When questions are solicited you may ask them but remember that your question and its associated answer will be published by the government so be careful not to educate your competition to your win strategy in the process. You do not have to indicate you are interested in bidding the job by registering as an "Interested Vendor" in order to bid a solicitation. Some companies prefer not to advertise their bid intentions, seeking to avoid competitors modeling their firm. If you are new to federal government contracting and wish to determine the best market for your supplies and services, observing what a given agency is buying on FEDBIZOPPS is a key factor. Keep in mind that the decision makers in government contracting are the technical managers and process people behind the scenes in an organization (either government agency or large company). They have the budget authority, program responsibility and accountability. These people pass their decisions on to buyers and contracting officers via signed requisitions. Buyers and contracting officers are really no more than gate keeping staff members, knowledgeable in legalities, terms and conditions and who sign on behalf of the agency or company AFTER an internal review by the executives who have technical and management responsibility. Once again, bidding an active solicitation after it has hit FEDBIZOPPS may be too late. The idea is to use them for market research so you can target similar projects earlier in the process. Research the technologies and services in which your targeted agencies and primes are involved through trade magazines, Internet articles, web sites, employment hiring fairs and industry conferences. Focus your marketing campaign on finding evolving projects you can use as vehicles to approach teaming partners and agencies directly with a marketing campaign geared to your capability statement. Develop a solution to the specific needs of the project and present it to gain their attention. Your principal challenge as a small product and services provider is finding evolving programs and projects into which your capabilities fit. Once you have found such targets it is then a matter of marketing brusquely to get into the game with eye catching solutions and capabilities. When a procurement becomes public on FEDBIZOPPS it stays public, but many invisible strings behind the scenes are likely already attached to it by aggressive and talented companies who may have sculpted the requirement with the agency, assisted in writing the statement of work or influenced the structure of the specifications to favor their products and services. All this is good, competitive marketing practice in the government contracting venue, just as it is in the commercial marketplace. FEDBIZOPPS is an absolute necessity once you make a bid decision. It is an extensive resource prior to such decisions and if utilized prudently it can enhance your small business government contract marketing plan dramatically. Nice article. Do you know of anything that helps you manage the process of bidding and winning the contract after you find it on FedBizOpps? I'm looking for a CRM product that helps me keep track of all of the FBO deals currently on my watchlist. Please see check the "Table of Recent Articles" and the Table of Contents at this site for articles on marketing, proposal preparation, pricing and project managment. Excellent services Shelf Corporation for sold to individuals interested in owning an established company with a clean history. Great blog... I enjoy reading the articles. Wondering if anyone knows if a Govt contractor can have one rate for an employee that is technical/direct charge and a second rate that is a corp function/overhead under DCAA rules? If your company processes and DCAA disclosure at the job description level specify duties that relate to both direct and indirect functions for an employee, they can so charge on their time card. You must have separate charge numbers that route the labor to an indirect pool for overhead duties and to projects for direct charge. Sorry this might be a pretty basic question but I am knew to Government Contracting and would like to know if the USASpending.gov website includes the same data as FEDBIZOPPS? or do they have different data sources...? Your help is much appreciated. thanks for this great blog! Thank you for your comments on my blog. Regarding your question on USA Spending and FEDBIZOPPS data commonality, please be aware that USA spending is what the name implies; i.e. it is payments by the government for supplies and services rendered by contractors on actual procurement contracts. FEDBIZOPPS for the most part addresses solicitations for supplies and services that have yet to become contracts. It also contains sources sought notifications, requests for comment on draft solicitations and similar informal notices, all of which are in advance of contract award and in advance of the government incurring any cost of the type that would contribute to USA Spending data. The final entry on FEDBIZOPPS with regard to a prospective individual buy would be a notice of award, a cancellation or a re-compete announcement. From there another government data base,MOCAS - The government "Mechanization of Contract Administration Services" System takes over and feeds the USA Spending data base when payments to contractors occur. This question is totally out of the box, but this was the only site that mentioned navigating FedBizzOpps. I am a college student (therefore I NO nothing about contracting), I was assigned to find a RFP in my academic field and summarize it. However, it cant seem to find one on FedBizzOpps. Is a soliciation the same as a RFP? How can I serach based on my major? Thanks for any advice you can offer, this site was extremely helpful for me! Please go to the second,vertical Box Net "References" Cube in the left margin of this site. Mouse over the document titles and download the free "SBA Size Standards" document. Locate North American Industrial Codes that most closely relate to fields in your major and use them to search FEDBIZOPPS. Given what you have written about fbo.gov, I would love to know your take on products such as Deltek's GovWin IQ (seems to be the 800-pound gorilla in this space), Bloomberg Govt, Ovnia, and the like. For a business, especially a fledgling small business, the cost of a product like GovWin is considerable, starting somewhere around 8,000, and that's the low end. GovWin and similar products try to sell you on getting to know about opportunities earlier in the ballgame, on making it easier for prime contractors to know you would be willing to sub-contract with them, on their analyst(s) helping you through parts of the process (? ), and other aspects - none of which guarantee you a contract, of course. Right now, the leadership of the startup I'm with seems content - due to the advice of our SBA opportunity specialist (who also thinks Deltek is not worth it, because we already have the freely available tools we need) - with responding to opportunities as they appear on the fbo.gov site. But if I'm understanding correctly what I've gleaned so far from your writings, this approach is unlikely to succeed. Given these circumstances, would a "low end" subscription with GovWin be a worthwhile investment in your mind? What you have identified is a common issue, in terms of transitioning to affordable tools at the time they are needed considering the stage in which the company is undertaking government contracting. The real drivers here are the number of transactions involved and the type and complexity of the contracts involved. 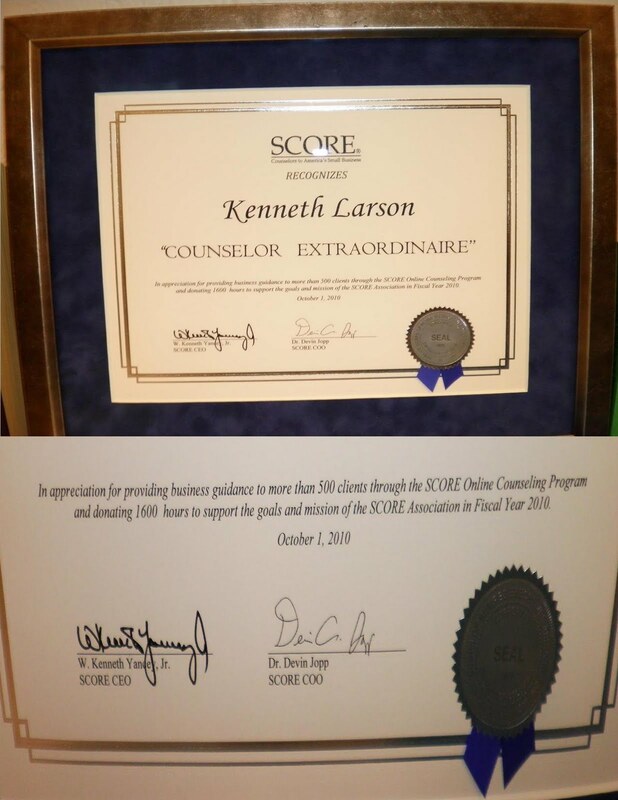 Although as a non-profit foundation I shy away from endorsing products I have taken a shot a detailed perspective in this area, driven principally by the audit requirement companies encounter. I have covered some of the tools by name in the article, although not all of them.